Pruning an agave plant is a prickly job, and unfortunately a necessary one. Agaves are not related to cactus despite their frequent association. Agaves grow from the inside as new growth emerges from the center while the older outside growth begins to die off. As the outside growth begins to die off, it looks unsightly, which is why agave pruning is necessary. Agaves are succulents that like hot climates; if you live in USDA zones 9 to 11 you can plant your agave outside. But for the cool- and cold-climate gardener, agaves make excellent houseplants. Look at your agave plant and identify any of the lower leaves that are beginning to turn brown or shrivel and dry out. Make your cut using a sharp-toothed knife from the bottom of the leaf toward the top, as close to the stem as possible. Continue to remove dried or browning leaves all around the base of the agave plant until the remaining leaves look fresh and healthy. Remove your potted agave from its pot and prune away any damaged or diseased roots. Soft, mushy-looking roots can be pruned away. Leave roots that have white or yellow tips because these are where new root growth will emerge. The best time to prune is in late summer and early fall. This will push new growth from the plant at the beginning of the next growing season. 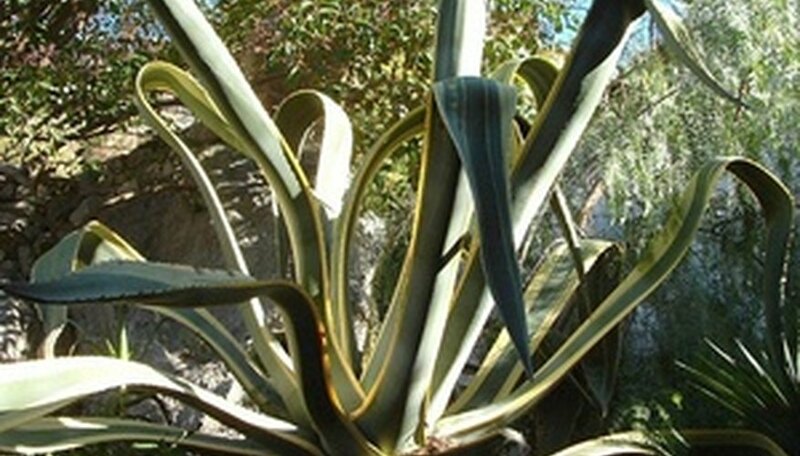 Prune your agave again in the early spring to remove any leaves that have been damaged by the winter conditions. If the root ball looks constrained when you remove it from the pot for root pruning, move your agave to a larger pot. Agave plants have sharp spines along the leaves and a sharp needle at the end of the leaf. Wear protective eyewear and gloves when handling an agave plant.